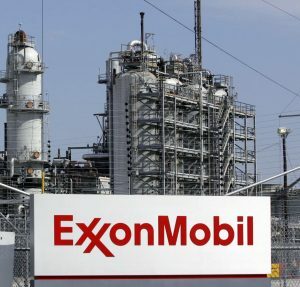 Exxon Mobil (NYSE:XOM) investors have voted to require the oil giant to report on the impact of global measures designed to limit climate change at the annual meeting Wednesday. The resolution was introduced by the New York State Common Retirement Fund. At issue is if climate change would persuade governments to restrict the use of fossil fuels, which could result in much of the reserves held by oil, gas and coal companies becoming “stranded” and never used. Exxon Mobil rejected that argument in its proxy materials. According to reports, investors holding 62.3 percent of shares voted for the proposal. The identity of voters wasn’t disclosed. However, a source familiar with the vote claimed that major financial advisory firm BlackRock had cast its shares in opposition to the company’s management. It is speculated that Vanguard and State Street Global Advisers had done the same. BlackRock and Vanguard are the biggest shareholders in Exxon Mobil. Together, they own 13 percent, or $43.6 billion worth, of the company’s stock. State Street is the third-largest shareholder with 5.1 percent of the stock. Exxon Mobil has faced considerable criticism and litigation over whether it has adequately disclosed the climate consequences of burning fossil fuels. The company said that it had done adequate disclosure in its annual “Outlook for Energy” document. The most recent document says that oil would remain the world’s primary fuel, that global demand for energy would increase 25 percent through 2040, and that the International Energy Agency estimate that $11 trillion to $22 trillion would be needed through 2040 for energy investment in exploration and production. Various groups have been trying to force corporations to adopt greater disclosure and transparency about the financial fallout of climate change. Many companies are on the defensive as more major investors are backing social and environmental resolutions. BlackRock has previously said that climate disclosure is one of its top priorities. Other major oil companies, including BP, ConocoPhillips, and Royal Dutch Shell, have already endorsed the two degree analysis. Similar resolutions for assessments on how climate change could affect their businesses were adopted at Occidental Petroleum and utility holding company PPL. Occidental’s shareholders backed the resolution with a 58 percent majority, which included BlackRock.